Although Google Adwords is an apt promoting platform for increasing your company’s brand popularity and customer reach, many companies get satisfied through Google Adwords and thus, promote their company to a limited audience. Your company shouldn’t commit the same mistake as there are several other advertising channels that can prove to be beneficial for your business. 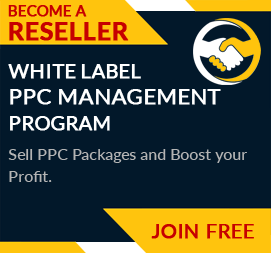 With a minimal budget of around $1, you can reach thousands of people in the specific targeted criteria that you choose. 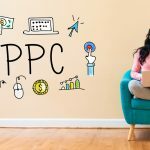 If you stick to a similar budget per day in Google Adwords, you would even find getting a single click on your advertisement for an entire day. Thus, you can understand how cost-effective Facebook advertisement is. Cost per mille (CPM) – Bid per thousand impressions to increase exposure and brand awareness, as more people will be able to see your ad. 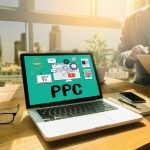 Cost per click (CPC) – Choose the maximum bid per click with CPC bidding so that users can actively click on your ad through your own page or site. Optimized cost per mille (oCPM) – Through oCPM, Facebook shows your ad to selective people who, according to Facebook, are more interested in your ad and thus more likely to take action on your ad. Cost per action (CPA) – You should opt for CPA when you want users to take a specific action upon seeing your ad. If you provide consultancy or other services related to business, you should target users interested in business, marketing, and advertising. It is also wise to specifically target users who are over 30 as they might be in a position of authority at work. Small business owners are also a good target. If you are selling products such as clothing and shoes for ladies, you can target females who show interest in shopping and fashion. 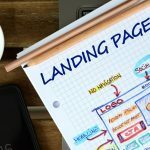 Select an appropriate range to attract maximum convertible leads and, with the help of Digital Activities, also target those who tend to shop online frequently. Is your ad about an online dating website? If yes, you should then target singles and create different ads for separate gender interests. Ads about services availability in a specific local area shall target only the audience living in the geographical region where you operate. When it comes to popularity in the online world, we don’t even need to discuss anything about Facebook. It is the most popular social network worldwide, with an immensely large user base of 2 billion monthly active users. Thus, no matter what your industry or niche is, Facebook will surely have the audience you want to target. 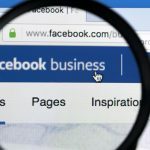 Even for the B2B industry, which finds it hard to convert in the conventional work hours, Facebook provides a perfect platform through which they can reach individuals who would be interested in their services. The total number of times the ad got shown (Impression, Reach, and Frequency). The number of clicks, page likes, comments, shares, and other actions taken by the people. All costs such as the average CPC, Cost per Like, and Cost per Conversion. Even though it will take some time in setting up the Benefit from Facebook Advertising and will require an expert to work at it, the results and profit are surely worth the investment.